Trade bodies face challenges relating to the size and diversity of their members’ interests. Having worked with and for trade bodies across the UK, and across the non-profit, public and commercial sectors, our strength lies in applying first-hand insight to any challenge. 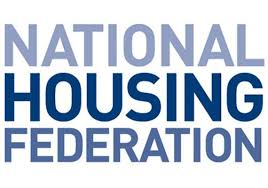 Examples of our work for trade bodies include writing the National Housing Federation’s Code of Conduct (2012), Code of Good Governance (2015) and Stress Testing and Asset &amp; Liability Registers guidance (2016), recruiting the CEO of the Scottish Federation of Housing Associations, and advising the Northern Ireland Federation of Housing Associations on policy and regulatory matters. We are on Sport England’s Governance Framework and have facilitated consultation on new strategy for County Sports Partnerships and carried out compliance assessment support with the new Code of Sports Governance.